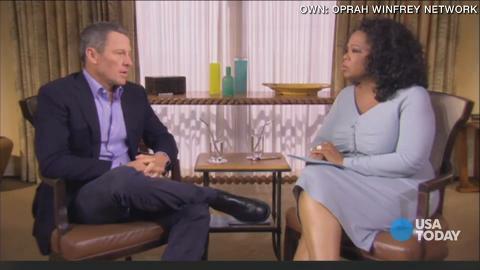 I just was sad...that was all I could think as I watched the 2 part interview with Lance Armstrong. I know it's been a bit since the actual interview but I just wasn't sure what all my thoughts were on the 2 part interview. I listened, tried to act like a body language expert and at the end was in awe of the gospel that rang so loudly in 6 words. 6 words that ended the interview on that Friday. 6 words that Lance's ex-wife says to him still. 6 words that don't just mean the truth of his life. 6 words that mean the meaning of his life. Oprah: You know what I hope the moral to this story is? It's what Kristin told you: the truth will set you free. Lance: "Yeah. She continues to tell me that." Oh, Lord thank you for Kristin...not that I know her or know everything about her and her story. I do believe she is trying to show Jesus to her husband that once was. To show love and honor even in divorce. To show Jesus and to show TRUTH. I pray our hearts are not angered or celebratory when we see fame fail. We ALL need grace, love and Jesus!